Flag Terminology - Did you Know ? Your interest in flags makes you a Vexillologist! 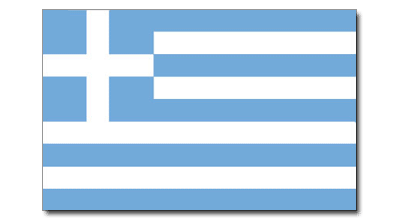 We hope that the presentation of facts and information regarding the Greek Flag and Country has provided a useful educational resource. To improve your knowledge of Flags and Vexillology still further check out the Flags and Nations Index and test your knowledge with our interactive, multi-choice, picture-based Flag Trivia Quiz Game - it's fast and it's fun!